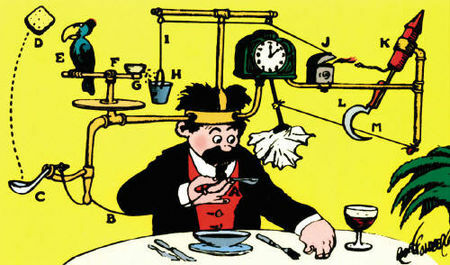 That’s what the accident in the next story reminds me of. 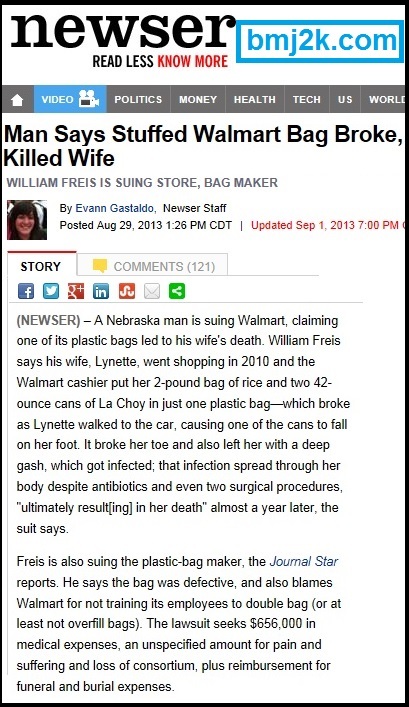 Food goes in the bag, bag breaks, can falls out, breaks toe, skin gets gashed, infection sets in, woman dies. I don’t think the bags were defective, I just think they are so cheap that they can barely contain a pillow. I’ve seen some horribly cheap and thin plastic bags lately. I’m surprised the bag made it out to the parking lot. I do blame the cashier. None of them know how to bag. They either stuff all your items, including two desk chairs and a fender, in one bag, or go the other way and put no more than two items in a bag, leaving the average family to walk out carrying anywhere from 67 to 108 nearly empty bags. Usually, and this happens all the time, I rebag my purchases right there at the register. More often I use the bag it yourself counter. However, I don’t like that option. Part of the money I am spending goes to pay the cashiers, whose job it is to bag my items. If I am doing the cashier’s job I want a rebate. On the other hand, I am guaranteed that my eggs will not be packed under a load of cement. As far as this lawsuit, he will not get funeral or burial expenses in any court, so cross those out. He also won’t get pain and suffering, that is usually saved for physical pain. Then cut in half whatever the judgment might be because I feel the woman is half responsible. How could she not lift that bag and think it wouldn’t make it to her car? Any of us who lifts a full shopping bag can tell if it is overloaded. She should have done something.